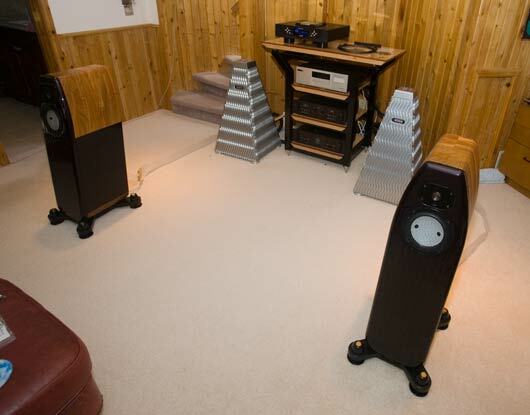 The Audio Note Ongaku integrated is on the Coltrane Supreme speakers. 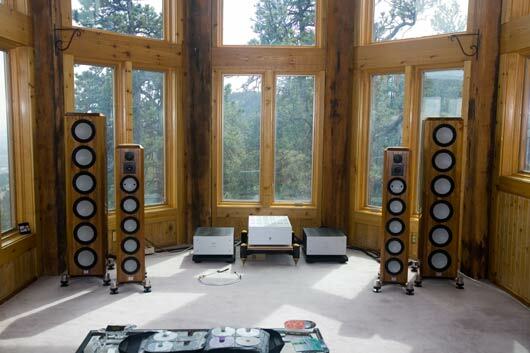 Those are the Lamm ML2.1 waiting in the wings. They were used as part of a recent out-of-towner audition. 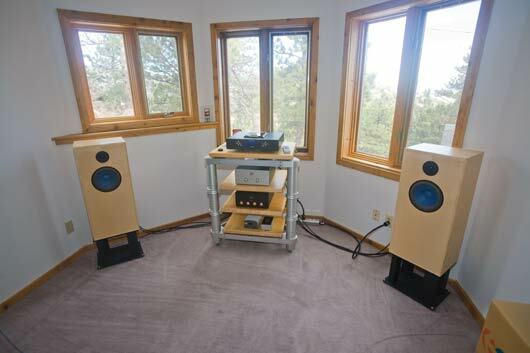 [Yes, the speaker cables are taking a shortcut over the Marten crossover – a little cable dressing no-no but, well, it ain’t going to reach otherwise]. The deathstar [mixing movie metaphors here, I know] Audio Note digital is on the left: The CDT-5 transport, the Fifth Element DAC and Fifth Force power supply. 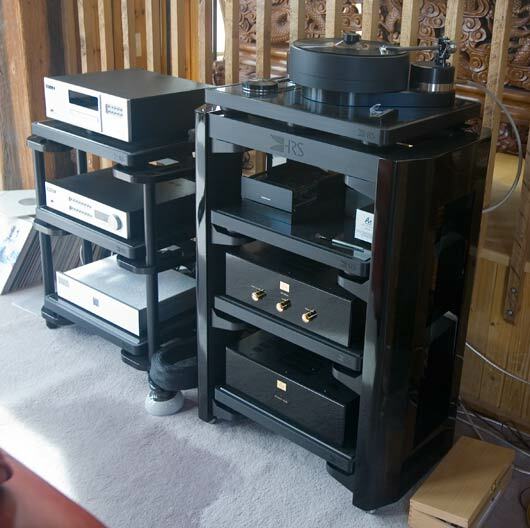 On the right is the Brinkmann turntable, the Audio Note S9 step up transformer and the Audio M9 Phono preamplifier. 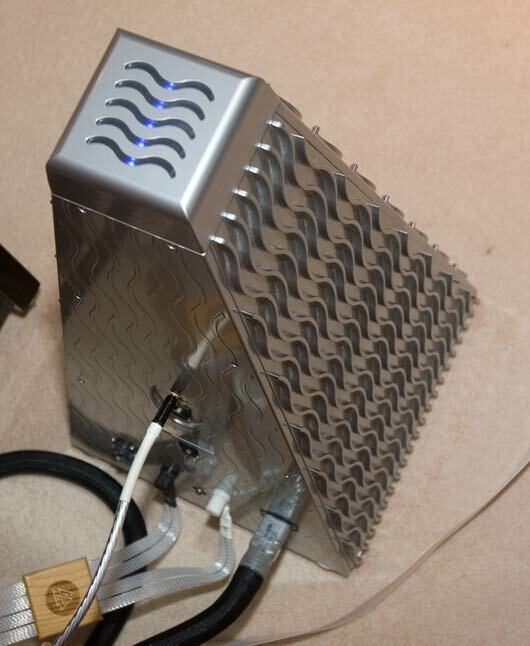 On the bottom there is the Emm Labs XDS1 CD/SACD player. 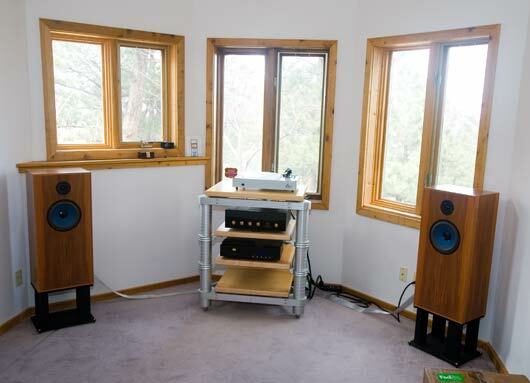 Downstairs we have the Audio Note Kegon amps driving the Audio Note AN/E SE Signature speakers. On the side we have a lot of stuff. 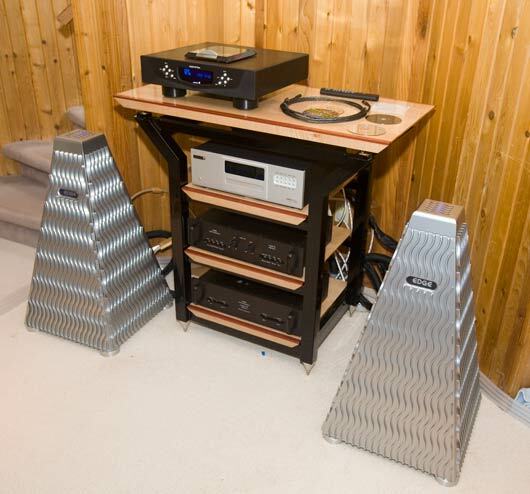 We have the Audio Note CDT-3 transport and DAC 4 Balanced into the Emm Labs PRE2 linestage. 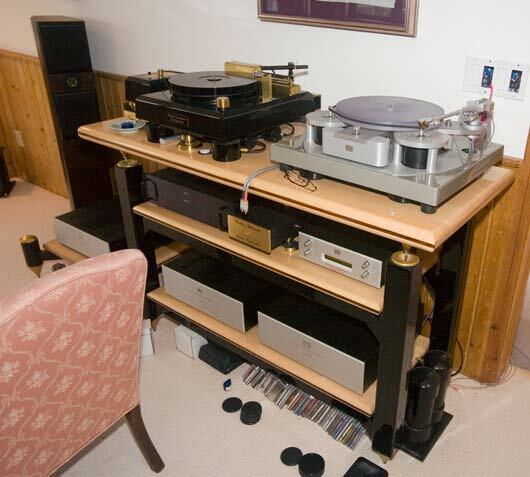 We also have the Walker turntable into the Lamm LP2 phono preamplifier. 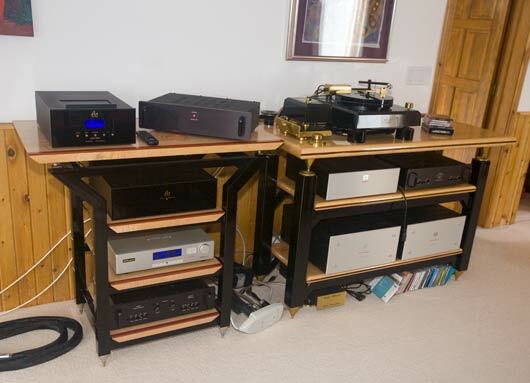 Other components – not hooked up – and the Audio Note Kegon Balanced amps and M3 RIAA phono preamplifier. 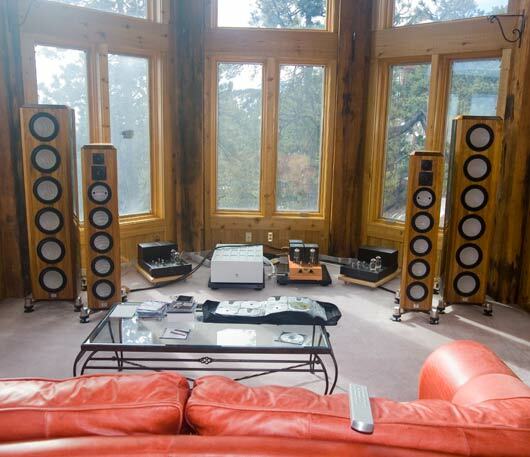 In the small room we have the Audio Aero Capitole CD player and the, I think Neli has the P1 hooked up, driving the AN/E SPe HE speakers. We are running the Brinkmann Balance turntable and EMM Labs CDSD and DCC2 digital through the Audio Note M9 Phono preamplifier. We are using the little S4 step-up for the Titan cartridge on the M9. Works pretty dang good, considering it wasn’t really made for this kind of thing. Heck, running the Titan direct sounded pretty dang good, although very quiet. 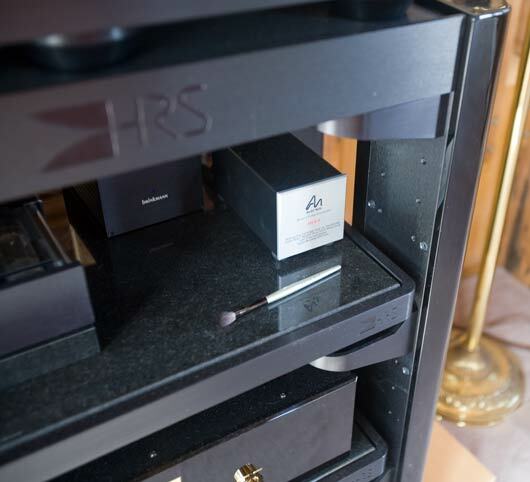 The point being that the Phono in this preamp has a qualitative depth that is really fun to explore – it is very open, very harmonically complex, with very good dynamic resolution. 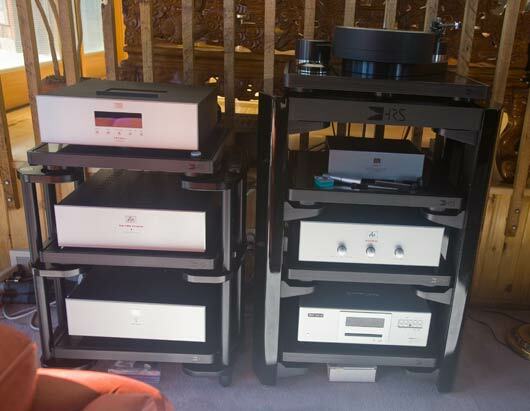 This is the exact same system that we took to CES: Audio Note everything: Ongaku integrated, SEC Signature speakers, SOOTTO interconnects and SOGON speaker cables, with Nordost ODIN and AcroLink power cords. Except the placement is kind of … different. A future post will talk about this weird placement that really works very very well … for octagonal rooms anyway. 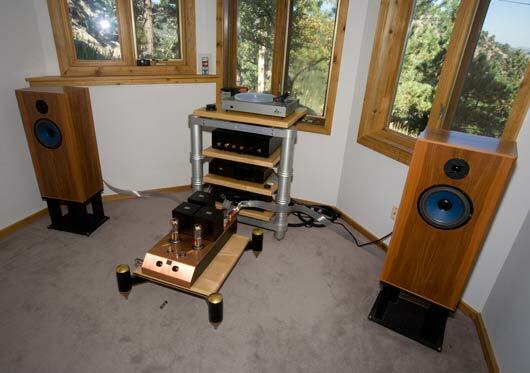 A couple of turntables share the Lamm LP2 phono. The EDGE from above. ODIN speaker cables and interconnects. 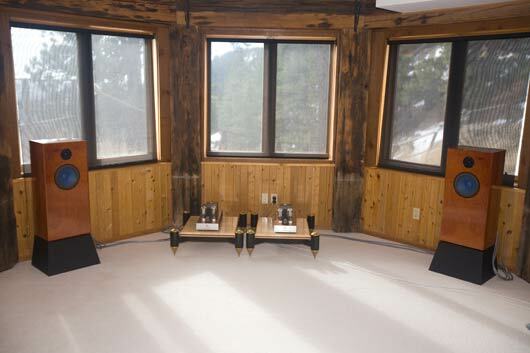 The 3rd room. We take new visitors to our store/home/showroom here first. I’d say about 60% convince us it is the best sound they ever heard. Then we take them to hear the other systems. This system is good enough that we tend to spend way longer here than we probably should – given that there are 3 systems to go we often spend 30 – 40% of our visitor’s time here. 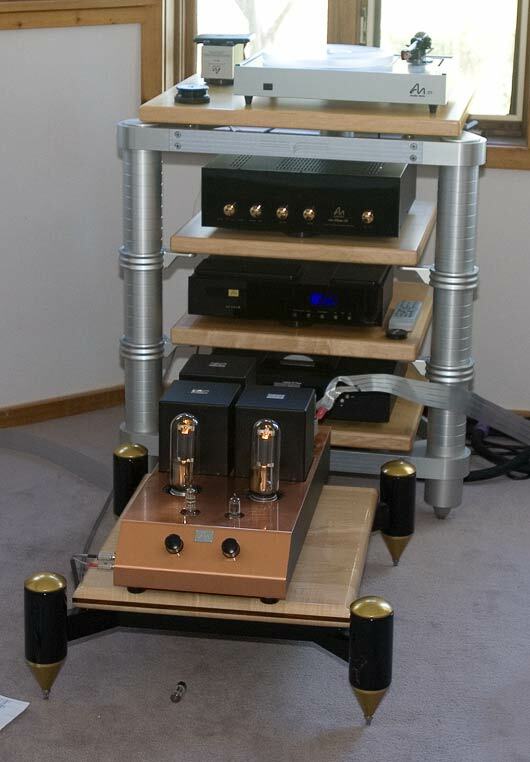 This system – the Audio Note Ongaku 211-based integrated amplifier into $7K AN/E HE speakers, driven by a little $3.5K Audio Note CD2.1x Mark II Player [Valhalla speaker cable and AN interconnects] – is obviously somewhat unbalanced – the amplifier costing a wee bit more than the rest of the system put together. But it sounds VERY engaging. 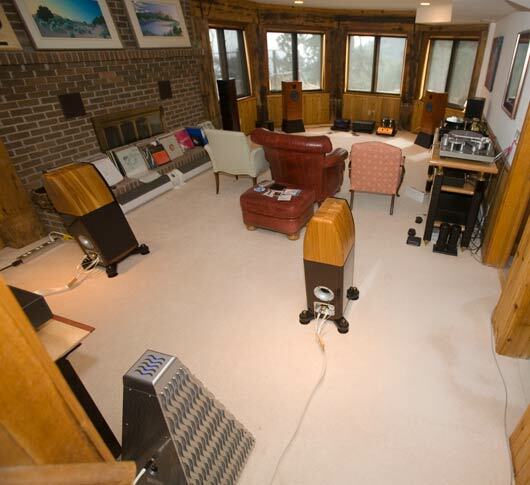 The amp is just tossing note around like they were wisps of air [:-)], it so completely dominates the sound. Is this approx. 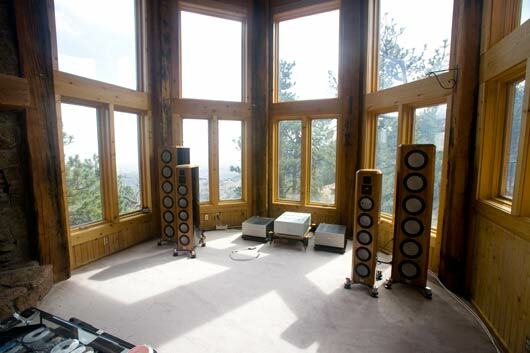 $100K system better than a more balanced one with, say, $30K AN speakers and a $30K Conquest-like amp and $20K digital transport and DAC and $20K preamp? But it is really fun to listen to – especially if you are familiar enough with listening around, and to, individual components in the system. You can HEAR all the flaws, and unsuspected strengths, in the weaker components. 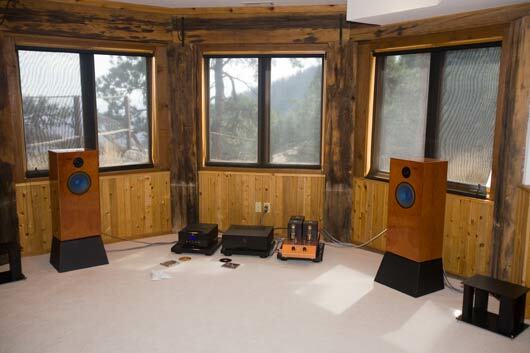 For example, the upper-mids and highs of the little 1-box CD player are really quite good – but the lower mids are a little laid back, and complex passages do not have quite the separation, in comparison to $10 and $20K digital. Pretty good trade-offs, I think. And, often, perhaps it is the lack of sophistication, the lack of complexity, to the overall sound that makes it really surprisingly straight-forwardly exuberant sometimes – when it all just comes together.